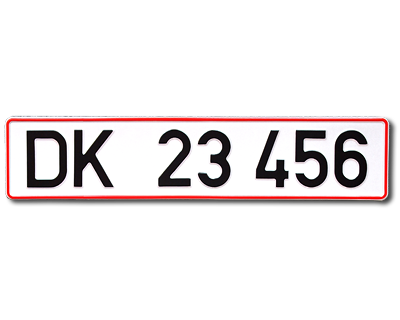 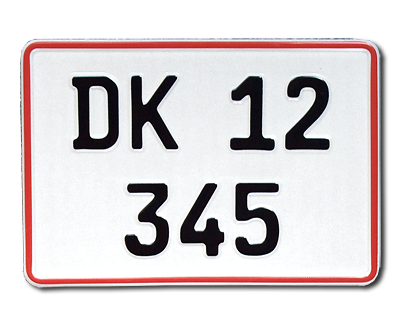 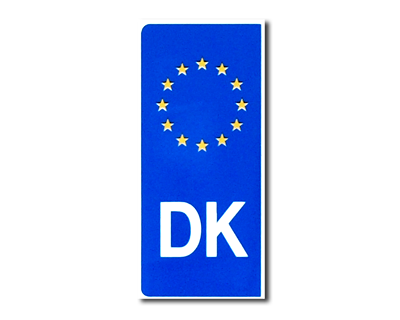 Danish MC plate, HD originalsize from the U.S! 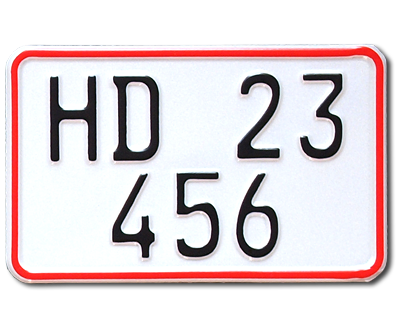 The license plate are made of reflective white aluminum and red frame and black text. 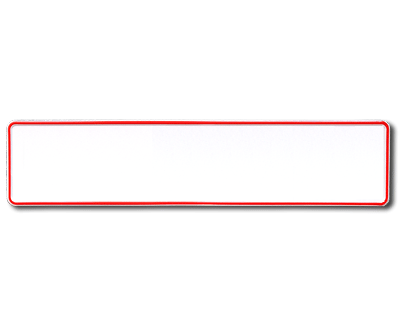 Standardsize 150 x 110 mm. 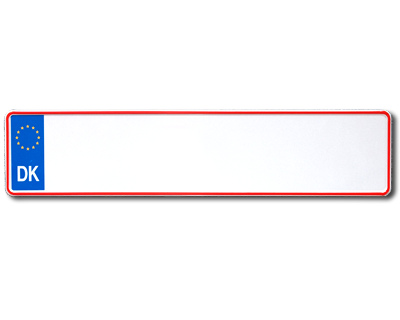 Max 5 characters/row. 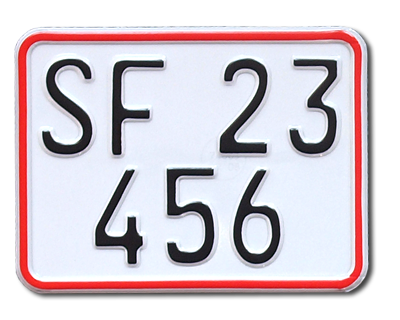 Embossed letterings.